Not taking classes and looking for other fun things to do during the day? Hungry but not sure where to go? This guide is for you! Soda City Market - Soda City Market is Columbia’s weekly Main Street event inspired by traditional European street markets. We’re open every Saturday morning 9 a.m. –1 p.m., year-round, rain or shine! Riverbanks Zoo and Garden - The Riverbanks Zoo and Garden is a 170-acre zoo, aquarium, and botanical garden located along the Saluda River in Columbia, South Carolina. 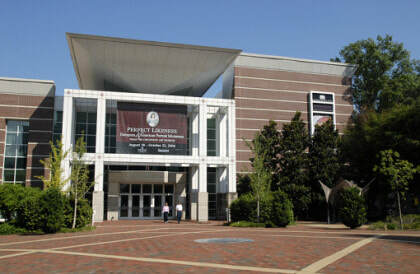 South Carolina State Museum - ​The South Carolina State Museum is a state-of-the-art facility featuring four floors of permanent and changing exhibits, a digital dome planetarium, 4D interactive theater and an observatory. Columbia Museum of Art - The Columbia Museum of Art is located in the heart of downtown Columbia, South Carolina, just blocks from the State Capitol building. West Columbia Riverwalk - located right next to the Congaree river, the Riverwalk consists of plenty of shaded trails and a beautiful view and occasional music at the amphitheater.